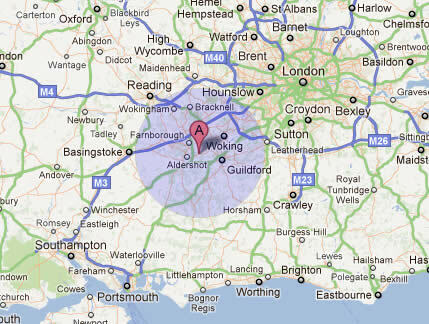 Apex Plumbing and Heating are based near Guildford in Surrey. We install Megaflo Unvented systems ervices and provide Heatigng services in the areas highlighted on the map. These include Aldershot, Ascot, Bracknell, Camberley, Farnborough, Farnham, Godalming, Guildford, Pribright, Weybridge, Woking and Wokingham.